A little while ago, my mom went to Germany and got me these pretties ♥ She knows how much I love teals and turquoises, so she bought three of those. Can't wait to try everything out. Thanks mommy! Gorgeous!! I can't wait for swatches! 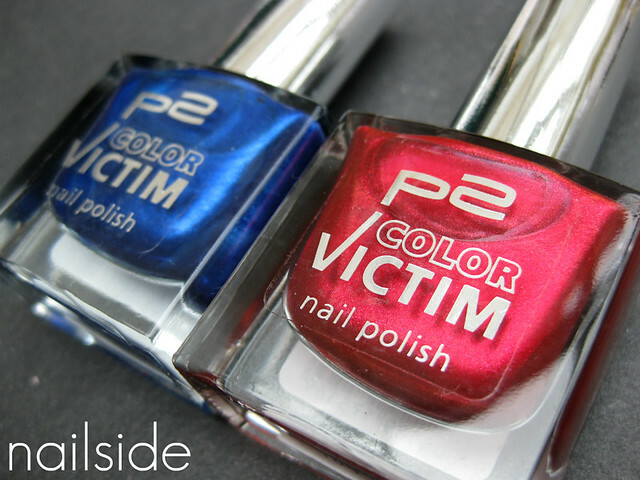 ahh, p2, my first brand i bought a polish from !!! Don't understand why kruidvat stopped selling it. ooh never heard of P2 before, available in the UK? So nice of your mom! Can't wait to see swatches! So sweet of your mother! I'm from Germany, huge nailpolish addict and I have to say that those P2 polishes are unbelievably good. On my nails they last so long and they really don't have to fear a comparison with high end polishes. P2 is the own brand of a drugstore here in germany called 'dm'.